It is customary today, during the week of Sukkot, to attend or host a Simchat Beit Hasho'evah party, which generally takes place in the sukkah. This Treat was last posted on October 13, 2014. The Treat was last posted on October 8, 2014. Continue celebrating the holiday by dwelling in a sukkah whenever possible. The Treat was last posted on October 12, 2014. *The order of the Ushpeezin may vary depending on community. This Treat was last published on October 6, 2014. If you have a sukkah, invite those who do not have a sukkah to yours. This Treat was last posted on October 7, 2014. Call your local synagogue to find out where to acquire a lulav and etrog. This Treat was last posted on October 5, 2014. If you cannot build your own sukkah, call your local synagogue to find out when theirs is available. Because vows may not be cancelled at night, the Kol Nidre service begins a few minutes before sunset. In Ashkenazi communities, the prayer leader begins the service in a soft voice that grows increasingly louder as the prayer is repeated three times. In this way, the haunting, dramatic tune of Kol Nidre sets a tone for the day and helps the congregation focus its concentration. In many Sephardi communities,Kol Nidre is recited by the entire congregation. This Treat was posted on October 3, 2014. This Treat was last posted on October 1, 2014. This Treat was last posted on October 2, 2014. Jewish prayer is a complex, multi-layered activity. The sages refer to prayer as avodah she'balev, service, the same term used to describe the sacrificial service in the Holy Temple. However, since the destruction of the Second Temple in 70 C.E., prayer has become our primary means of “connecting” with God. This Treat was posted on September 30, 2014. Set a beautiful table for the meal before the fast. 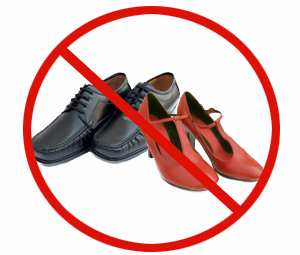 The observance of Yom Kippur, the Day of Atonement, calls for abstention from five activities: eating/drinking, anointing, washing oneself, wearing leather shoes and marital relations. When the sages speak of anointing the body, they refer to putting oils and perfumes on one's skin. This is basic anointing. That refraining from anointing is considered an "affliction" is derived from a passage in Yoma 76b:"For it is written, ‘I ate no desirable bread, and meat and wine did not enter my mouth, and I did not anoint myself with an anointing’ (Daniel 10:3). From where do we know that [the abstention from anointing] was considered an affliction? Because it is written: ‘Then he said to me: Do not fear, Daniel, for from the first day that you set your heart to understand and to afflict yourself before God, your words have been heard; and I have come because of your words’ (Daniel 10:12)." Further, in the Talmud (Shabbat 86b) it is written: "How do we know that anointing is the same as drinking on the Day of Atonement? Though there is no proof of this, yet there is an allusion to it, for it is said, ‘and it came into his inward parts like water, and like oil into his bones’ (Psalms 109:18)." This same verse, Psalms 109:18, is cited in Yoma 76b as the source from which it is learned that the prohibition of anointing includes washing. Says Rabbi Zutra the son of Rabbi Tobiah: "Just as the oil is applied externally, so also is the water [applied] externally." The Talmud contains an in-depth discussion regarding the specific washing/anointing acts that are prohibited on Yom Kippur. Without question, washing for pleasure in order to feel refreshed, is not permitted on Yom Kippur. However, if one is actually dirty (for example, one’s hands are soiled after cleaning off a child), one is permitted to wash. This Treat was last posted on September 10, 2013.
so are we in Your hand, O Preserver of kindness. The subsequent verses (“Like the stone in the hand of the cutter,” “Like the ax-head in the hand of the blacksmith,” etc) follow the same pattern as the first verse. The anonymous author of this piyut wished to express the omnipotence and omniscience of God in concrete terms, and therefore used professional analogies. Have you ever watched a professional potter at work? An experienced potter who takes the clay into his or her hands seems to “know” that clay. He/She knows whether the clay will be easily pliable, whether it is strong enough to form the desired shape, whether it will hold the proper glaze. Knowing about the raw material that is in his/her hands, the potter takes the clay and works with it, feeling its every movement. 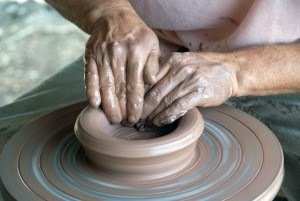 Indeed, as he/she works, the potter knows whether to expand or contract it. The potter, through his/her knowledge of the clay in his/her hand, is able to transform that clay into the best possible creation -- whether a bowl, a sculpture or a vase. Every person is like that clay. God knows us and is trying to form us into the best possible person that we can be. This Treat was last posted on September 30, 2014. Prepare for the upcoming fast by beginning to cut back on caffeine. One cannot, however, forget the other goat, the one offered to God. 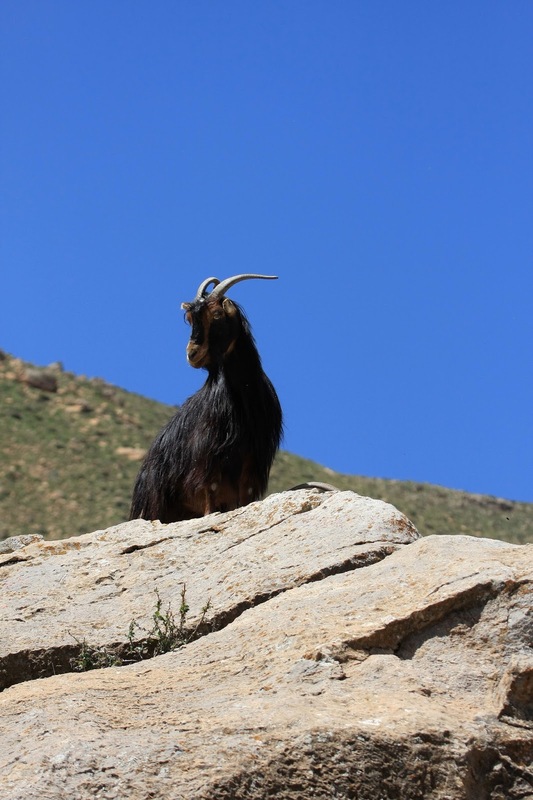 Perhaps this goat was meant to remind the people of their own personal sin offerings and their own personal repentance. No sin can be wiped away by blaming others. Only by turning directly to God and asking for His forgiveness can sin be expiated.This Treat was originally posted on September 10, 2013. Perhaps the prophet Hosea said it best (14:10): "Whosoever is wise, let him understand these things, whosoever is prudent, let him know them. For the ways of God are right, and the just walk in them; but transgressors do stumble therein." This Treat was last posted on September 21, 2012. Take responsibility for your transgressions. This Treat was last posted on September 29, 2014. This Treat was last posted on September 12, 2013. Make certain to mark Yom Kippur on your calendar for Wednesday, September 23 (beginning at sundown on the 22nd). These changes are discussed at length in the codes of halacha. The general consensus is that if the change from “King who loves righteousness and judgment” to “the King of judgment,” or any of the other alterations not singled out in this Treat, is not made, the Amidah need not be repeated. However, the acknowledgment of God as King is so important that those who forget to change “the holy God” to “the holy King,” are instructed to repeat the entire prayer. This Treat was last published on September 28, 2014. Prepare for acknowledging God as King on Rosh Hashana by focusing on how He runs the world (e.g. the marvels of natural law). This Treat was originally published on September 24, 2014. 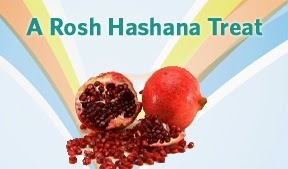 How many days is Rosh Hashana? It seems the simplest of questions, since all around the world, no matter where you may be, Rosh Hashana is celebrated for two days (as opposed to the first and last days of Passover, Shavuot, the first days of Sukkot and Shemini Atzeret - all of which are observed as one day in Israel and two dayselsewhere). 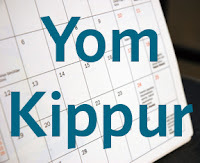 Wanting to prevent any possible desecration of the holiness of the day, the rabbis declared that the New Year be celebrated as a Yoma Arichta (Aramaic for one long day), meaning that the one day was spread over two days. 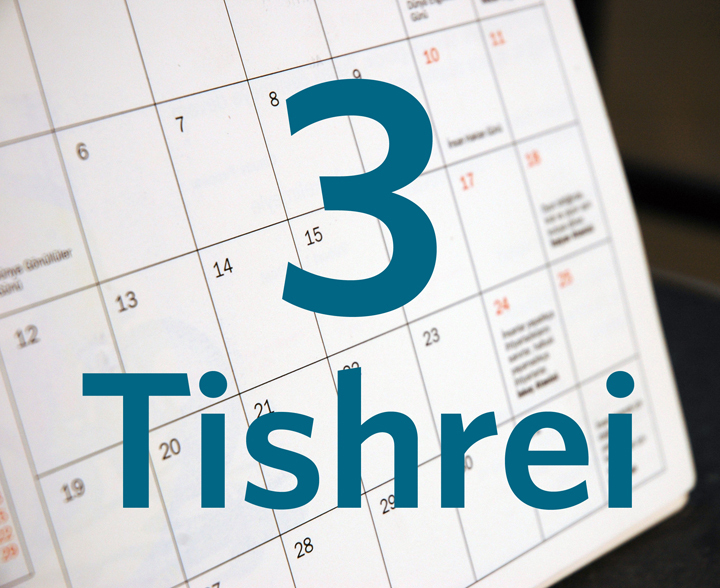 In other words, while Rosh Hashana is observed on the first and second of Tishrei, the two days are thought of as a single day. One of the more interesting effects of this transformation of two days into one is the question of whether or not a person recites theSheh’heh’cheh’yanu blessing during candle-lighting (for women) or kiddush (for men) on the second night on Rosh Hashana. On all the other holidays, the second day is treated the same as the first. 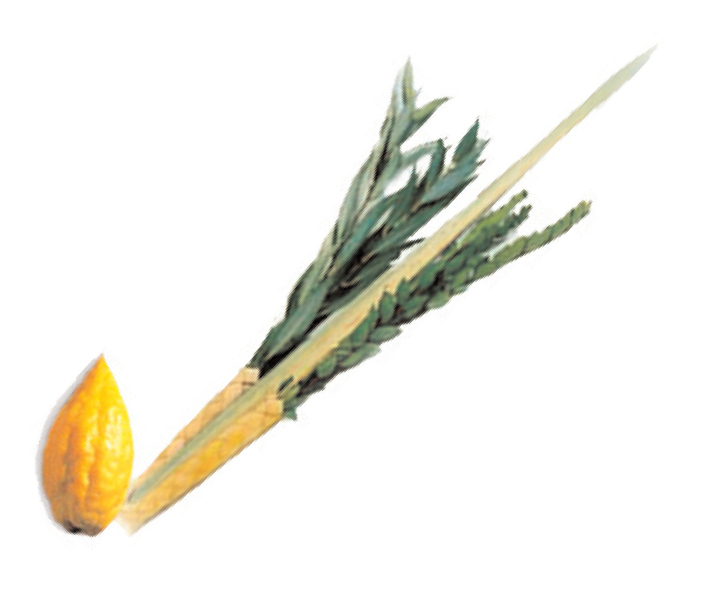 Sincesheh’heh’cheh’yanu is also recited over a new possession or a food that one has not tasted in over a year, it has therefore become the custom to include a new fruit at the beginning of the second night meal of Rosh Hashana and have the new items in mind when reciting thesheh’heh’cheh’yanu blessing. NJOP and Jewish Treats wishes you and yours a healthy and happy new year. No prayer so thoroughly captures the Jewish people’s dual relationship with God as Avinu Malkeinu, "Our Father, Our King." The exact formulation of this prayer is based on a prayer that Rabbi Akiva (c. 50 - c. 135 C.E. ), one of the greatest Talmudic sages, recited during a drought. After the community’s prayers had brought no relief, Rabbi Akiva went forward and called out to God, "Our Father, Our King, we have no king but You. Our Father, Our King, for Your sake have mercy on us!" Immediately, rain began to fall. The prayer of Avinu Malkeinu, which is recited on Rosh Hashana* includes 44 lines, the most famous of which is the statement: "Our Father, Our King, be gracious with us and answer us, even though we have no worthy deeds, act with us in righteousness and goodness and save us." By addressing God as both "our Father" and "our King," we direct our prayers through two different avenues. From a father, one expects mercy, love and forgiveness. A father looks at his child and sees only that child, that special individual, and instinctively feels mercy for the child, a product of his own flesh and blood. That is why, on the Day of Judgment we wish to address our petitions particularly to God’s fatherly aspect of mercy. On the other hand, a king controls the fate of his subjects. He rules with judgment and justice. Hence, we must also address our prayers to that aspect of God during Rosh Hashana and throughout the days that follow (up through and including Yom Kippur). After all, this is the time that God sits with His Books of Judgment open before Him. By referring to God as our King, we remind ourselves that while He loves us as a father, we must also be in awe of God’s greatness and majesty. *When Rosh Hashana occurs on Shabbat, Avinu Malkeinu is not recited. This Treat was last post on September 3, 2013. This Treat was posted on September 23, 2014. Do something special to mark the last Shabbat of the year 5775. This Treat was last posted on September 24, 2014. Treat was published on September 22, 2014. Be careful to avoid making vows. This Treat was last posted on August 29, 2013.